Ensuring your body is sufficiently hydrated will improve your overall health. This guide is about drinking more water. I was feeling tired, lacking energy, and was having problems with muscle cramps. When talking to my doctor, I realized I do not drink enough water. Even when I thought I was drinking enough water, I was not. I would drink lemonade and tea most of the time but this was not adequate for me. Those drinks act as a diuretic and were not helping at all. To keep track of the amount of water I should be drinking; I found I would drink more when I used individual water bottles. I feel better when I drink at least six 16.9 oz. bottles of water a day. I still enjoy a glass of tea or lemonade occasionally, but I really do not miss them like I thought I would. I do not know why this works but I think sometimes I am so busy that I do not think about refilling my glass with more water. If I use the individual water bottles, it is easier to grab one when I need it. Call it laziness or whatever, but this helps me drink more water. 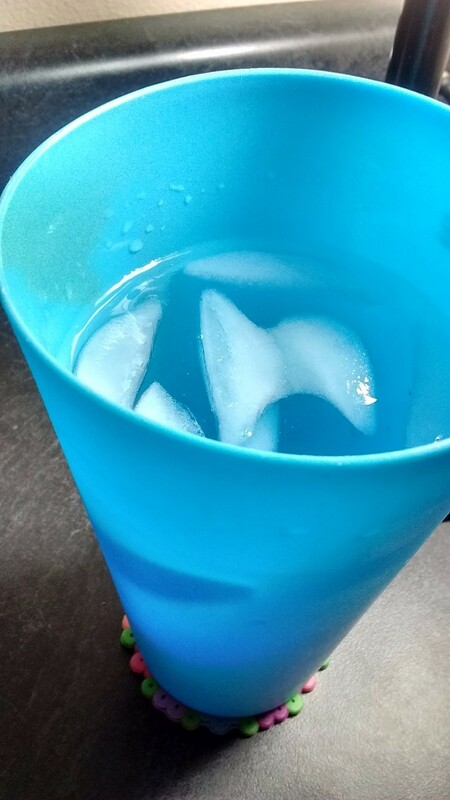 Since I started drinking more water every day, I do not feel tired and do not get muscle cramps. I never thought drinking water was so important. I have read that if you are thirsty, at that point, your body is starting to dehydrate. So it is better to drink small sips all the time whenever you can, instead of waiting to become thirsty. It made a big difference for me. We are all told to drink more water and stay hydrated but I know I get bored with plain water very quickly. I enjoy the lightly flavored waters you can buy, but that can get a bit costly. I've found that you can make great tasting flavored water simply by diluting good quality bottled fruit juices. I purchase high quality fruit juices, the ones with no fructose or other added sugars and use one part fruit juice to three parts plain water in a reusable water bottle (adjust proportions to taste, of course). It's wholesome if you use the best quality juices with no fructose as well as refreshing and light. It has just enough flavor to be satisfying at a fraction of the cost of "store bought" flavored water. I teach exercise classes, and participants (mainly seniors) tell me that they don't drink enough water. They usually just don't think of it. So I've shared this tip, and they say it has really helped them. Before you make a long phone call, sit down with a good book, watch a TV show, or whatever, put a small glass of water next to you. Tell yourself that when you finish with that, the glass will be empty. Then take sips. If it's not empty when you finish, just drink the glass of water! I recommend a small glass at first, then you can use larger glasses as you progress. It's a good way to remember to keep hydrated. With the dog days of summer upon us, I thought I would share my frugal tip for staying hydrated. I carry an insulated 18 oz. container filled with water. And I have a larger 64 oz. cooler jug filled with water for refills. When mine runs empty, I can pour some from the jug. It really saves from buying drinks at the stores. Plus, it's a great way to keep my 4 wonderful blessings hydrated as well. This probably seems like common sense to some of us, but maybe it will help someone. I just hate spending money when I don't have to. Stay hydrated this summer! Drink water every day. Not diet soda, not crystal light, but water! Sure, you might not like the plain taste of water. So go to your local Walmart and buy an herbal tea box and put that in your water. Otherwise, you may think that diet soda is better for you, but it is not. We're all supposed to drink 8 glasses of water a day, but yuck! I don't like it. However, I do love sparkling seltzer water. So from now on, I buy generic brand flavored seltzers and fill half of a tall glass with seltzer and the rest with water. In this hot weather, do you hate wasting water by having to run it so long before it gets cold enough to drink? Drink plenty of water! It helps to keep your skin clear, and helps to keep your weight down. If your water tastes a little yucky, nobody really wants to drink it. No need to buy water. Get out your largest pot, bring your water to a boil on high heat, then turn it down and continue to boil for about 35 minutes. With Summer not far away, I'd like to stress the importance of drinking enough water so you don't get dehydrated. A few years ago, had my husband have taken this advice, he'd have not had an emergency Dr's. appointment. But he got overheated at work, nearly passed out and had to be rushed to the Doctor. Instead of those expensive bottles of water people buy. I take a 32 ounce (1 liter) water bottle to the drinking fountain twice a day at work. I can gauge how much I've drank and it's free. Finding time to always write down my water intake for the day was not easy for me. Now I use a row counter that's used for yarn projects. I just give it a quick click and don't even have to look as I go about my day. Not being dehydrated in the evening? I'm not sure what you are asking, it's beneficial to drink water at all times of the day. Drinking water fom the time you awake in the morning until just after your final meal of the day is what helps to keep a body (including the brain, kidney, liver, lungs, heart, etc) clean and healthy! Hi - not sure where I read this - it was said that a little water in the morning settled the acid in our stomach. This was suppose to prepare our stomach for food later in the morning. Is A/C Condensation Water Safe for a Dog to Drink?